Susanne was born and raised in Germany. After graduating from School of Pharmacy, she and her husband traveled around the world for six months. Raising three wonderful children in today’s fast paced and complex world left Susanne struggling to maintain her inner and outer balance. She was immediately intrigued by the mind-body connection that yoga offers on and off the mat and was especially drawn to the flow of breath and poses in Vinyasa Yoga, which calms the mind while keeping the body toned. 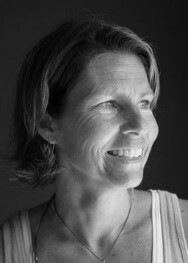 Susanne has created a strong following of yogis who love her beautiful sun salutations and a strong flow creating energy and vibrance in the body!